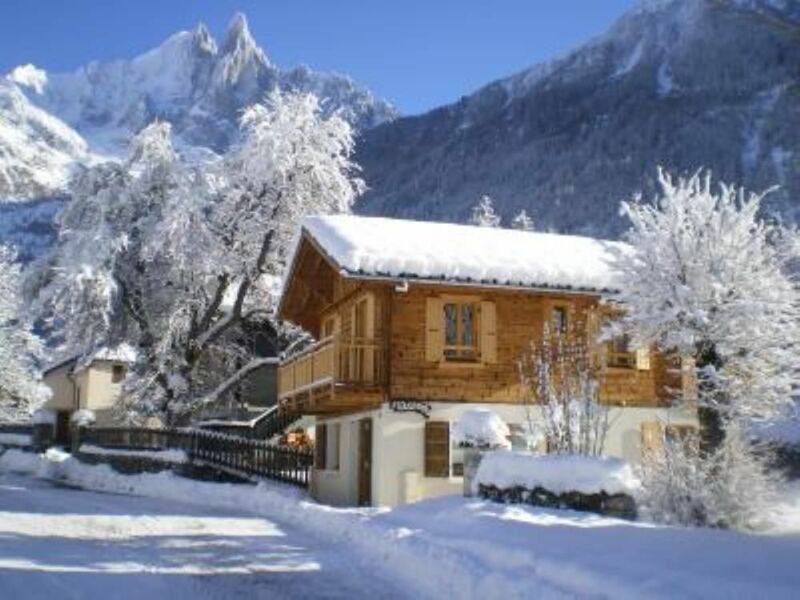 Ideally located , close to the cable car of "La Flégère " and next to the well known golf of Chamonix. It's very quiet with a marvelous view on the Mont-Blanc and on les Drus at only 2 km of the town of Chamonix. At Chamonix take the direction of Argentière on your right side. Then after 2 km , at the village of les Praz de Chamonix ,take at the round about on your right side, cross the train rail and it's the third house on your right. (Text automatically translated) Ski rental in Mandrillon Sports, restaurant Dahu, the little green in Argentiere, the atmosphere, the Tablée in Chamonix.